IELTS General Writing Task 1 Model Answer: Letter to your friend about your plans to go out with him/her. Home IELTS General Writing Task 1 Model Answer: Letter to your friend about your plans to go out with him/her. – what help you need from your friend with this picnic. How are you? As the weekend is coming up, I thought I’d write to you to confirm our plans for the picnic together with Ann Yen up Penang Hill this weekend. As you know, we plan to hike up the hill and reach the summit by 10.00 a.m. to enjoy the view as we picnic. As the hike up takes an hour, I think the best time to leave for the hill would be at 9.00 a.m. Please pick Ann Yen up from her house as you live right around the corner from her, and come over to my house by 9.00 a.m. – I’ve booked a taxi to take us to the foot of the hill then. I’ve also bought lots of fruit for the picnic, and Ann Yen will be bringing sandwiches. We are in complete agreement, however, that your signature potato salad is the best! Could you please make a big tub of potato salad for our picnic? Please also make sure you bring your own drinks to carry up the hill. I can’t wait for the weekend! See you then. 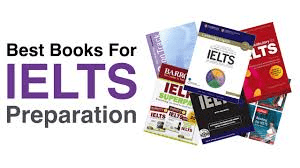 IELTS General Writing Task 1 Model Answer: Letter of instruction and information to friends. IELTS General Writing Task 1 Model Answer: Letter to tell manager for suggestions. IELTS exam topics for writing and speaking for April 2018IELTS Writing Task 2 Model Answer: Some people think the government funding should not be used for supporting art and culture.